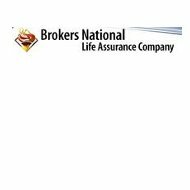 A review of Brokers National Health Assurance Health Insurance Company leads to Brokers National Life Assurance Company. Established in 1986, Brokers National offers a variety of insurance options including dental, vision, accidental death and dismemberment, and term life insurance. They do not offer health insurance benefits. If you are looking for personal or corporate health insurance, enter your zip code in the free box to compare health insurance rates, now! Dental, vision, life, and accidental death are all a part of the basic products Brokers National offers. The dental plans offered by Brokers National are available for both groups and individuals. The unique thing about Brokers’ dental plans is that they do not have in or out of network dentists. The plans allow you to choose the dentist you want. Dental coverage is for both preventative and restorative dental care and covers spouses and children as well. Brokers National’s vision plans are for group coverage or voluntary coverage through an employee. A group plan is provided through an employer at the employer’s cost. A voluntary coverage plan is provided through an employer at the employee’s cost. Both plans come with a choice of over 26,000 eye doctors and include the option of family coverage as well. Life insurance from Brokers National is also offered as group coverage or as voluntary coverage. Either way, the rates depend upon the participation of the employees. For example if you only have 3-9 employees you must have 100% participation but if you have over 50 employees, you only need 25% participation. Accidental death and dismemberment is available from Brokers National in the individual and group form only. There are two different plans. One plan covers up to $50,000 and is for individuals ages 18-65. The other plan covers up to $250,000 and is available for groups or individuals. In both of these options, benefits are doubled if the accident occurs on a school bus or common carrier. Brokers National has some specialty products that are available for individuals who already have an existing policy with Brokers. The cancer policy is for individuals’ ages 0-100 that have not previously been diagnosed with cancer. There is no lifetime maximum and the benefits begin with the first diagnosis of internal cancer. Benefits are not available for external cancer such as skin cancer. They cover treatment and recovery. Another specialized product Brokers National offers is Hospital Indemnity Benefit Insurance. This pays a daily benefit for every day spent in the hospital due to injury or sickness. The benefits double for cancer, heart attack, or stroke related hospitalization. There are additional riders that can be added for ambulance coverage, private nurse coverage, and more. Short Term Disability Insurance Coverage from Brokers National is also available for groups only. This short-term disability plan does not require medical information and pregnancy is covered. The policyholder has the option of a waiting period, a benefit duration period, or a $500 per week payout option. Careers at Brokers National are available in many different departments such as administrative, information technology, executive, and brokers. Brokers National tries to make the system as user friendly for their brokers as possible. They have used the most innovative technology to provide their brokers with everything they need to write policies for their customers. Brokers have access to webinars that explain new products, give refresher courses in current products, and offer an overview of the benefits available for brokers. There is also a customized quote program that allows the broker to enter a client’s information and instantly receive a customized quote that can be passed on to the client. Enrollment of customers is available 24 hours a day, 7 days a week and can be done completely online. This reduces the turnaround time and allows a paperless option for both the client and the broker. When signing up a group for an insurance policy, a group number is assigned right away so benefits can be accessed before personalized materials arrive at the client’s job. I have an accidental Death Policy from Brokers National Life Assurance Company, purchased through the State of Arkansas as a payroll deduction, purchased 8/14/1992, Policy #3698 – Family Shield II Application.